Toyota’s partnership with the England and Wales Cricket Board was born out of a shared passion for impeccable timing, controlled power and calm precision. We may have different end goals but we take a common approach. 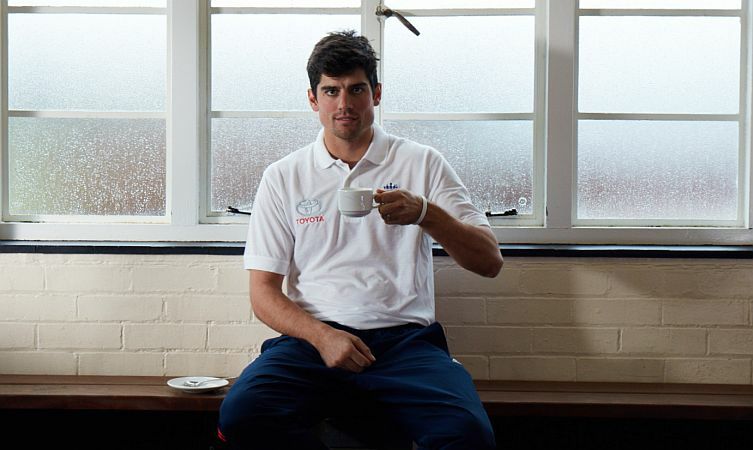 So as the man tasked with leading the country’s national cricket team, we wanted to speak to England captain Alastair Cook about his view of technology in cricket, how he builds team spirit, and his experiences with the Toyota Land Cruiser across different continents. We took him aside during a recent photoshoot to have a chat. Read our previous interview with England cricketer James Anderson here. Toyota Blog: So here we are on a media shoot at your old school in Bedford. Does it feel strange being back, like everything has suddenly shrunk? Alastair Cook: It is interesting coming back, if slightly strange and a bit smaller than you remember. I’ve actually been able to come and visit once a year since leaving but overall it hasn’t really changed; I guess it’s my life that’s altered rather than these surroundings. For me, I really enjoyed school and I’ve got some great memories and great friends from my time here. TB: We’ve previously talked with teammate Jimmy Anderson about the ways that children think cricket could be improved. How have you seen the game improve in terms of technology? AC: The biggest technology change has been with the umpires. In days gone by, the umpire’s decision used to be final, but then as filming technology improved the audience could actually see for themselves on TV that sometimes a wrong call was made. So I think DRS – the decision review system – has been the biggest change in technology influencing the game. I think it’s been a good step because it gets more decisions right. Off the field, I think innovation can be seen in practice facilities and the use of high-quality miniature cameras. You can place these strategically around the pitch and get various close shots of a player throwing the ball or bowling from a different angle, for instance. And with tablets being so portable it is easy to watch and react to the videos almost immediately. Basically, I think technology in sport is brilliant and makes for a better spectacle. The world is changing and the game has changed – just take Twenty20 as an example of showing what is humanly possible with a cricket bat – and I think everybody should embrace it. TB: In what ways have you personally tried to improve cricket and the spirit of the team as England captain? AC: That’s an interesting question. The spirit of the team always helps when you’re winning but can also support you when things aren’t going so well. But I think that the most important thing within a team environment is that people feel comfortable – that they can express themselves and feel confident that their ideas about how the team can move forwards will be heard. I want to nurture that environment for the team, but it’s taken me a couple of years of feeling comfortable with myself as captain to feel more natural within that role. TB: By all accounts, 2015 was a good year – your Wikipedia page claims you set seven cricket records. What do you hope to achieve or do better during the rest of the 2016 season? AC: [Smiles] First of all, don’t believe everything you read on the internet… Yes, England has had a good year – we’ve played some good cricket and some bad cricket – but we’ve won lots of important games. To win the Ashes and to win away against South Africa, the number one side in the world, will always make a good year in anybody’s books. I think the next progression is to go up the rankings. It may be a little cliche but to do that our aim as a team is to win more games than we lose. For me personally, my aim for 2016 is to continue trying to score more runs. TB: As part of Toyota’s sponsorship of the England Cricket Board, you’re able to drive a nice new Land Cruiser for a couple of years. What do you think of it? AC: I think it’s quite well-known that I farm as well at home. So I probably shouldn’t be telling you that I’ve found it to be excellent at going off-road – not that you would spot that today as I’ve made sure it’s spotlessly clean for the shoot. It’s a big car and ideal for carrying the dog, the family and all my cricket gear with space left over. I can’t argue with it at all. TB: We’ve notice that the major places you play as a team – Australia, South Africa, United Arab Emirates – are all Land Cruiser strongholds. During your downtimes, have you ever been tempted to head off the beaten track in those countries? AC: I have, actually. I’ve done the desert experience in a Land Cruiser in Dubai, alongside a few others on camels and with a huge barbeque at the end – that was great fun. I do miss the grunt of the massive V8 petrol engines they usually have in those countries but I guess they would be quite expensive to run over here. TB: True. Thanks very much for your time today, Alastair – best of luck to you and the team for the rest of the year. 2016 Toyota Hilux: what’s new? 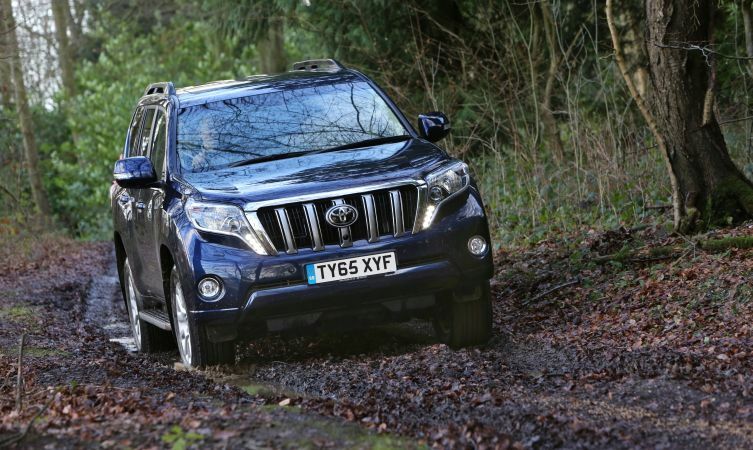 The Big Toyota Hilux quiz!